Stuff – The International Cricket Council (ICC) has declared war on verbal abuse, unveiling new penalties and allowing stump microphones to stay on throughout games in a concerted push to stamp out bad behaviour. The International Cricket Council (ICC) has declared war on verbal abuse, unveiling new penalties and allowing stump microphones to stay on throughout games in a concerted push to stamp out bad behaviour. The ICC annual conference has wrapped up in Dublin, where Cricket Australia (CA) chief executive James Sutherland and other bigwigs agreed on a raft of changes to the sport’s code of conduct. 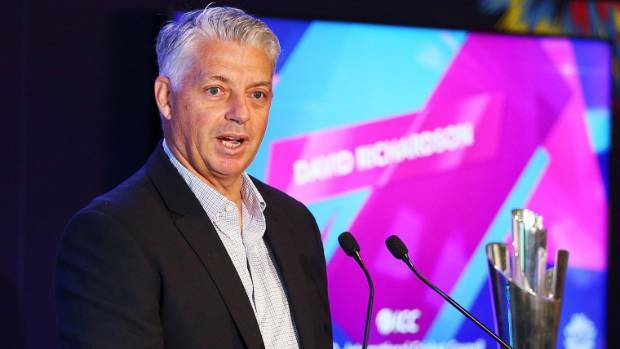 ICC boss David Richardson vowed during Australia’s test tour of South Africa, described by one match referee as featuring the most “animosity between two teams” he’d ever seen, to clean up the game’s image. The ICC has also introduced a series of new offences under its code of conduct. On top of the code of conduct changes, the ICC has also outlined its intention to hold cricket boards to account for players’ behaviour.